Increasing magnification without altering working distance, Lynx EVO supports multiplier module that extends effective zoom ratio up to 20:1 to increase magnification range to 6x–120x (240x max) without diminishing 3D (stereo) optical clarity. Microscope's eyepiece-less design eliminates difficulty and strains of microscope usage to promoteÂ ergonomics and productivity. 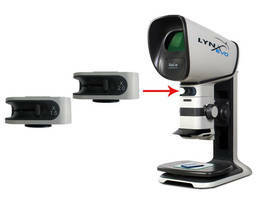 Different configurations are available, and additional accessories include HD image capture and 360Â° rotating viewer. Vision Engineering Inc. announces an enhanced version of their acclaimed Lynx EVO eyepiece-less stereo microscope, which now includes the option of powerful zoom magnification multipliers to increase the total system magnification up to 240x. The multiplier module for the patented eyepiece-less designed Lynx EVO increases the magnification range to 6x – 120x (240x max. ), extending the effective zoom ratio up to 20:1. 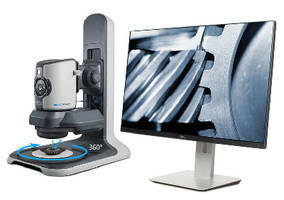 The multiplier increases magnification without altering the generous working distance, resulting in a powerful and adaptable inspection microscope with a wide range of magnifications in stunning 3D (stereo) optical clarity. Unlike typical stereo microscopes, the patented eyepiece-less design of Lynx EVO eliminates the difficulty and strains of microscope usage, providing unrivalled ergonomic performance to enhance operator productivity and ease of use. “Lynx EVO is the most capable, most advanced eyepiece-less stereo microscope we’ve ever made”, explains Stephan Sanderson, International Product Manager, Vision Engineering. “The addition of the multiplier module transforms Lynx EVO into an unmatched magnification machine with a simple slide of a switch”. The new zoom magnification multipliers can be engaged/disengaged with the slide of the lever. 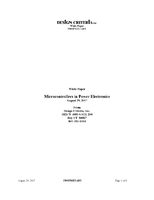 The user can perform high magnification optical inspection or disengage the multiplier to view the maximum low magnification field of view – offering a variety of magnification options. Lynx EVO is available in a range of configurations, designed for use in different environments, from production and manufacturing inspection, through to laboratories and medical device clean rooms. Additional accessories include HD image capture and an exceptional 360° rotating viewer. Vision Engineering Inc. designs and manufactures a patented range of ‘eyepiece-less’ microscopes for industrial and laboratory applications. 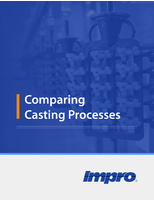 Established in 1958, more than 300,000 systems have been installed worldwide for inspection and measurement tasks. Company headquarters are based in Woking, UK with manufacturing facilities in the US and UK. Regional offices are located throughout North America, Europe and Asia. 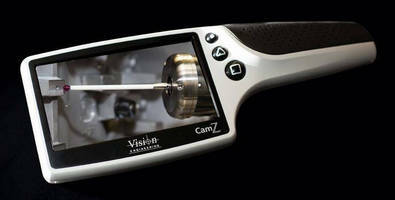 Digital Microscope offers full-HD 360-degree rotating views. 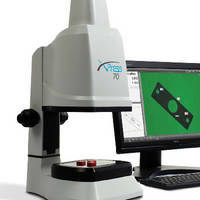 Digital Microscope offers button-actuated capture of HD images. 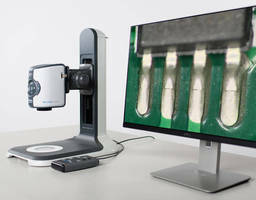 Stereo Microscope combines 3D imaging and HD capture. Video Measuring System eliminates need to focus. 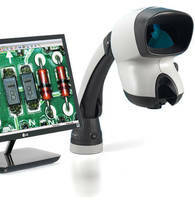 Digital Magnifier enables portable inspection, documentation.